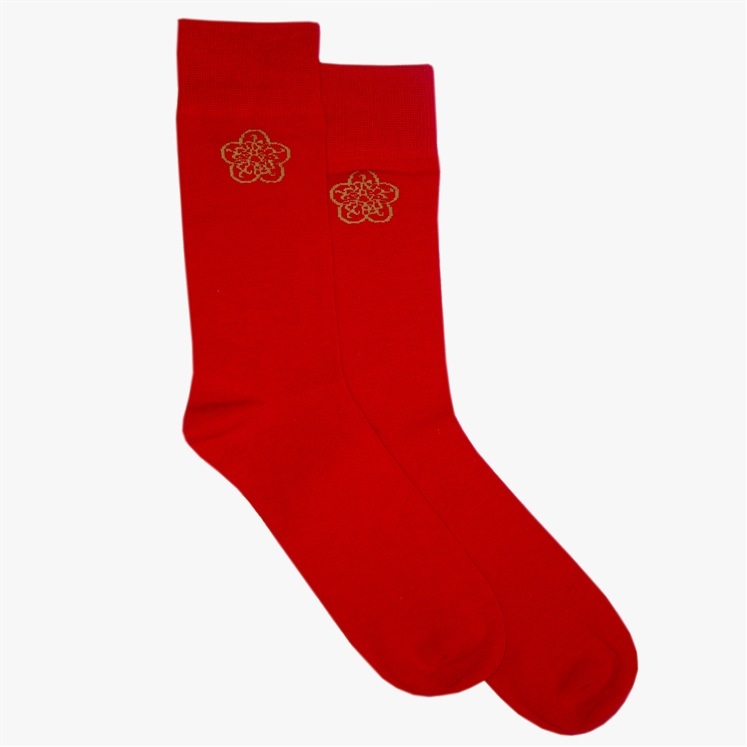 Plain red sock with the Gresham Blake emblem woven at the ankle. Onesize fits all. 75% Cotton, 20% Polymide, 5% Elastane.